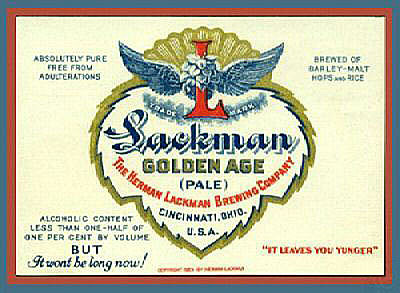 HERMAN LACKMAN, brewer, a native of Thedinghausen, near Bremen, in Germany, was born Sept. 15, 1826. After he received the usual elementary education, he helped his father (a farmer by trade) work in the fields, until the age of twenty. Without the hope of advancement at home, he moved to America in 1847, and, while learning the language of the country, he stopped in Baltimore, Md. Where he got a job as a farm laborer. In 1849 he came to the West, and settled in Cincinnati. Just two days after his arrival, he found employment in a sawmill where he earned seventy-five cents to a dollar the day. He remained there for eighteen months, until September 1850, and then got a different job paying a monthly salary of thirty-five dollars working for Brauer Schaller & ship, where he spent five years driving a lumber wagon and later a beer wagon. 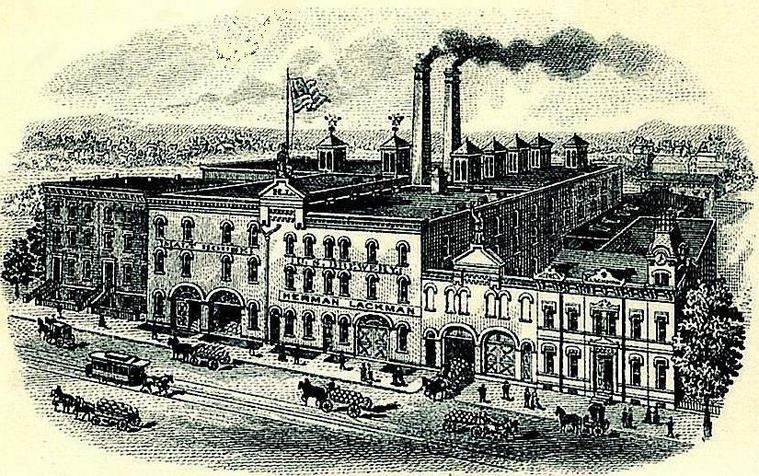 This certainly was a modest start, but Mr. Lackman managed horses well, possessing a powerful frame and being capable of great labor, and there was something in the man above his calling, and what it was became apparent in 1855, when, by investment of his earnings he became in a small way a brewer himself. Knowing no gateway to success except the one inscribed "hard work," he applied himself diligently to business, rapidly increased his sales, and through sound methods, straightforward conduct and the ability to organize and carry on a large enterprise, he gained a fortune.
. In 1855, Herman Lackman and J.H. 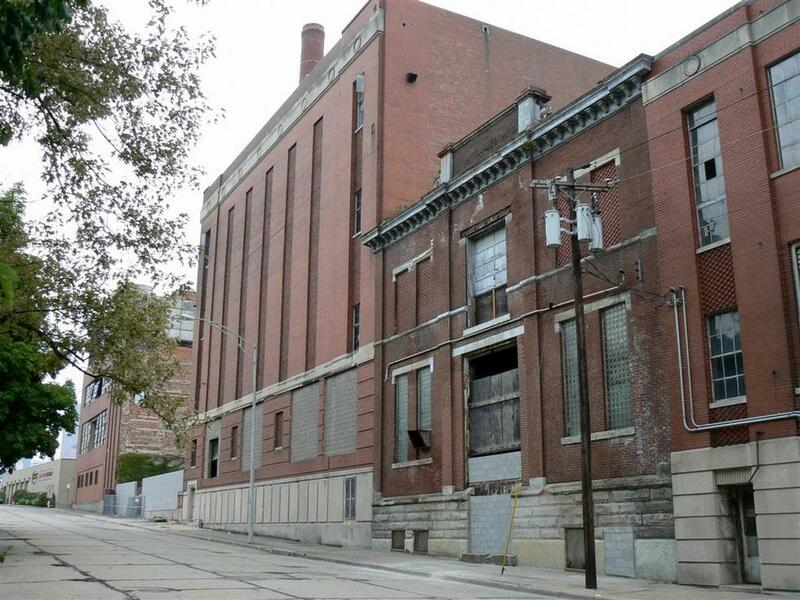 Sandmann leased the brewery of Louis Schneider on Agusta Street. Lackman had worked for Foss-Schneider. In 1860 the operation was moved to the property located at Sixth and Stone Streets because they needed more room. Their new property had a beer celler that could hold about 500 barrels. With their expansion they were able to increase the brewery’s output from 2000 barrels in 1855 to approximately 6000 barrels in 1865. 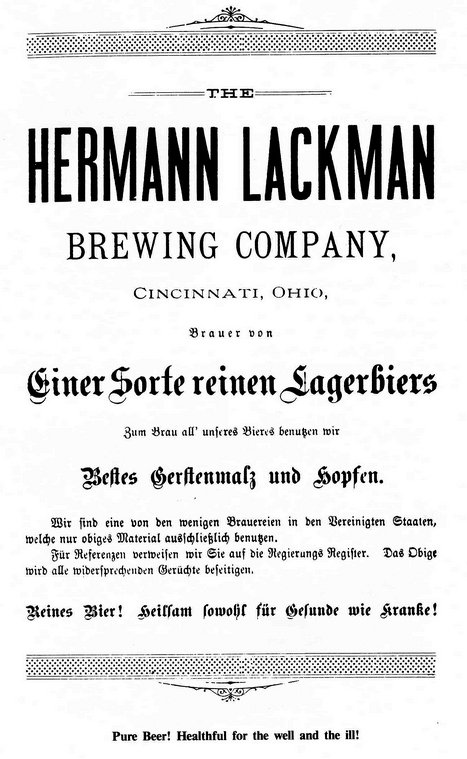 In 1868 Lackman bought out Sandmann’s shares in the company and renamed it, The Herman Lackman, and in 1890, The Herman Lackman Brewing Company. J. H. Sandmann, having retired from the business in 1868, died in 1872, with the respect of all who knew him. Herman Lackman conducted the business alone, and, as said, became the real founder of the present company. Herman Lackman believed in "beer as an agent of good". He held, however, that to accomplish this good it must be pure-made of the pure malt of barley and hops alone. His principles became known and became part of his beer making. In the new building all modern methods of brewing are perfected. The company does its own milling. Its malt is made from the cream of the barley market. No steam arises from the brew kettle. The great engines move without noise or smoke. The vast ice machines are silently at work. Everything is as neat as the parlor of a painstaking house-wife, from floor to ceiling. Stone floors are clean and ceilings shine. Brasses are burnished and steel glitters. With a model mill-house, brew-house, engine and boiler-house, whose cap-stone was laid three years after the founder's death [see biographical sketch], and just that long after he had superintended the building of the foundations. In this building, except one small house, there is not an inch of wood. Stone, iron, steel and brass are its components. It is fireproof, and enduring, like the memory of the good man who planned it, whose four sons would carry out his designs. One of them, Edward H. Lackman, has since followed his father to his long rest. He was the youngest son, an athlete and an enthusiast, like his brothers, in physical sports, but died early—not, however, before he had contributed his portion of loving labor to the enterprise with which the family name is identified. 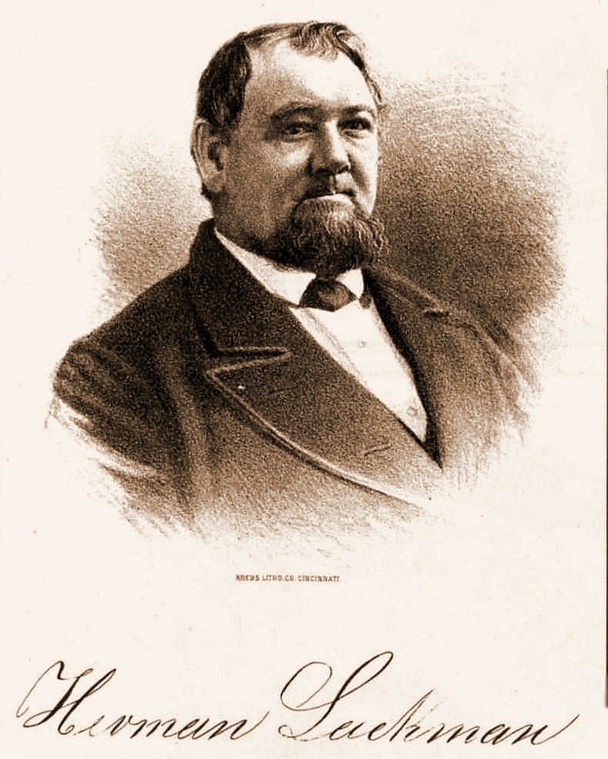 Herman Lackman was prominent in city affairs, and served with honor in the school board, as president of the German Orphan's Asylum, as president of the Third German Reformed Church, as trustee of the Bodmann's Widows' Home, director of the Sun Mutual Insurance Company, major in the militia, and president of the Cincinnati Brewers' Association—which position his son Albert now so worthily fills. Open-hearted and charitable, thoroughly believing that his life work was one of real practical temperance reform. Mr. Lackman died in Cincinnati, June 30, 1890. His death, just as he was beginning extensive improvements to his business, was a public bereavement. He left four sons to take up his work where he left it off, one of them since deceased, as mentioned. His son, Albert Lackman, is now president of the company, and Henry F. Lackman, vice president. Herman Lackman, Jr., who passed away on October 11,1894 was the son of Herman Lackman, the founder of the Herman Lackman Brewing Company. He was one of the Directors of the Company. Although a member of the Chamber of Commerce he was not present with frequency on the Exchange, from lack of business occasion for his attendance, and for a considerable time he suffered from an impaired condition of health which interfered with his attentions to business affairs. He was born in Cincinnati, which has been his home during his brief career of twenty-seven years. In his association with business affaire he has maintained the high reputation of his father, and with conditions of prosperity has generally remembered those who have had occasion to appeal for relief or assistance. His personal associates and friends will cherish his memory as that of a manly, honorable man and cordial friend, and they profoundly sympathize with his wife and child in the loss which they have suffered. Albert Lackman, president of the company, and also of the Brewers' Association of Cincinnati, Covington and Newport (which has a membership of twenty-six without the Aurora, and an output in 1893 of about a million and a half of barrels), was born in Cincinnati in 1855, and is therefore just as old as the brewery business of which he is the head. Tall and commanding in stature, he does not run to adipose, perhaps because beer does not agree with him, and helms preferred other stimulants in moderation for the last fifteen years. , He is one of the few of the big brewers who are frequently on 'Change, and takes a keen interest in public affairs. After a business education he entered the iron architectural iron works of M. Clements, and in the office of that concern received a sound financial education. In 1884 he joined his father in business, and has since been there a controlling influence. He is a man of affairs, being a director of the Atlas National Bank, and has served in the town council of Glendale, where he makes his home, and active in other enterprises than that which commands his immediate attention. 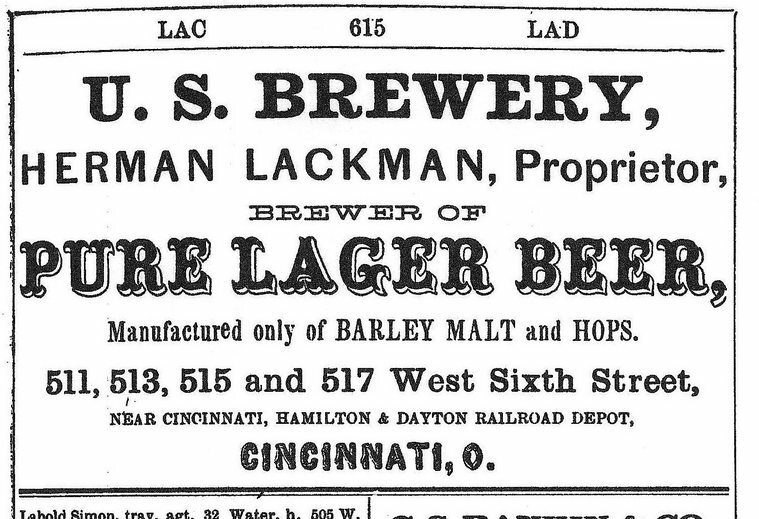 No property is more familiar to the student of Cincinnati's prosperity and of the factors thereof than that of the Herman Lackman Brewing Company. With a frontage on Sixth Street, extending from No. 503, corner Stone Street, 300 feet, to No. 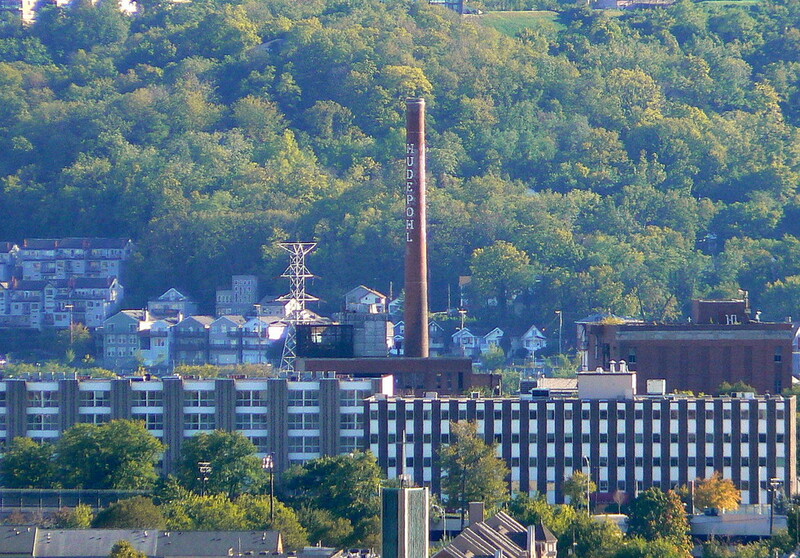 525, it runs back 200 feet to Carlisle Avenue, and on the latter rises a monument, indeed, to the founder of the business. By 1895, Cincinnati had become known as the beer capital of the world, and residents at the time drank more beer per capita than residents of any other U.S. city, an average of 40 gallons a year. Nearly 95% of that beer was brewed in Cincinnati. By 1900, there were 26 breweries, producing 1.4 million of beer annually. 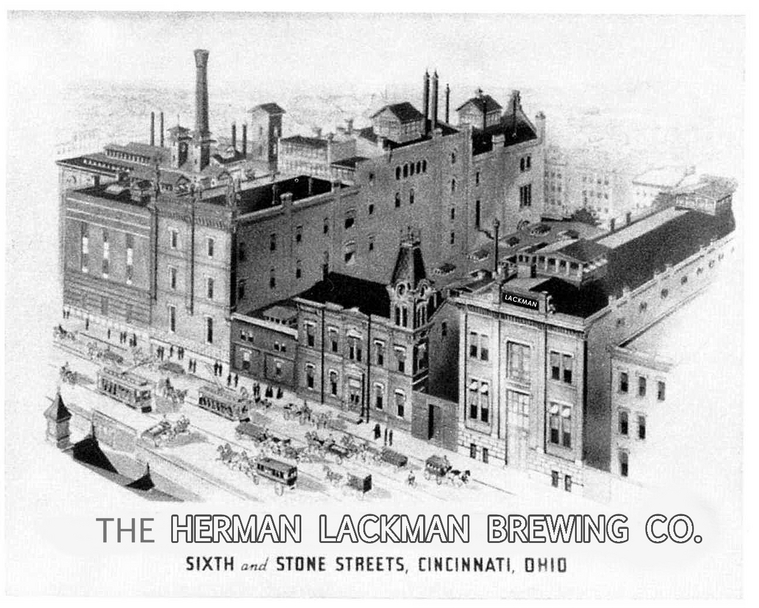 Lackman Brewing Company had extensive plans for its production facilities post-Prohibition. By October 1932, the Lackman reorganized and had an option on four acres of land in the Riverside area of Cincinnati, west of downtown and east of Mill Creek, on the east side of Southside Street and the west side of Galion Street near the Baltimore and Ohio Railroad. Preliminary plans called for a 50,000 barrel-per-year factory to be constructed at a cost of $250,000. The brewery president, H. Albert Lackman, stated that many changes in the brewing industry post-Prohibition necessitated the construction of a modern facility capable of producing 100,000 barrels per year. To implement the new facility, Lackman employed Carl J. Kiefer, a local industrial engineer with experience in factory architecture. Kiefer and his associate, H. N. Hermann, came up with a modern design that was based on models from Canada, and featured a factory that could double the production capability without the purchase of additional land. Lackman was encouraged by the results, and was readying the new plan to be put into operation as soon as Prohibition ended. Unfortunately, Lackman failed to obtain a federal permit to brew alcohol and the plant never resumed operations. 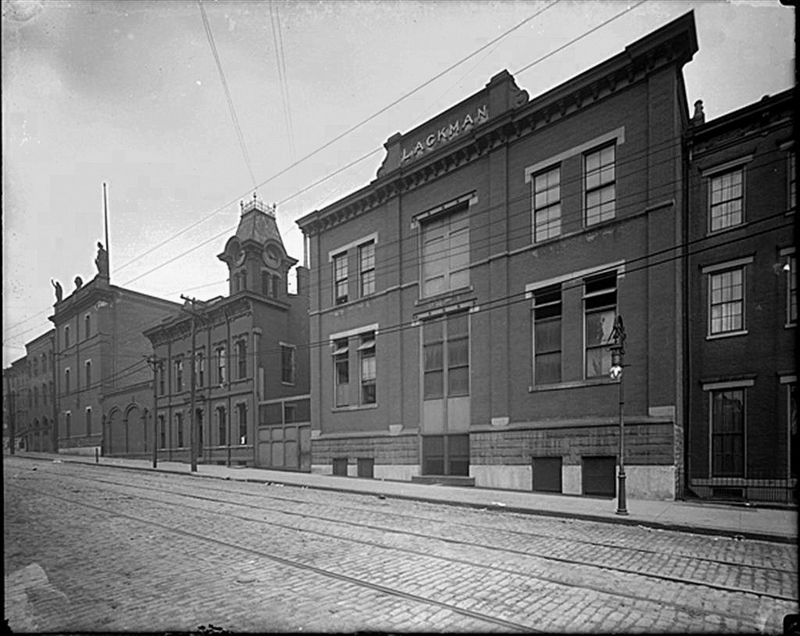 The Lackman brewery at 801 Sixth Street was purchased by Hudepohl after the repeal of Prohibition and where they would eventually consolidate operations. 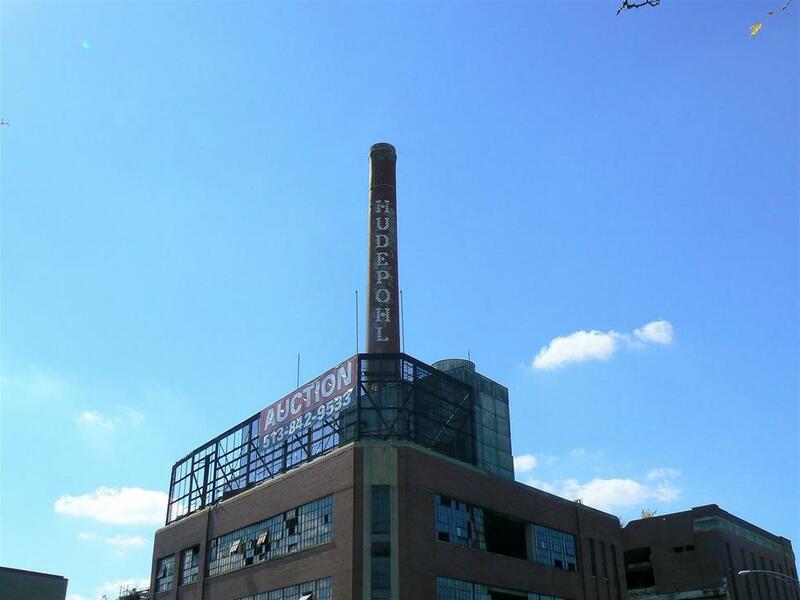 The smokestack is 170 feet tall and can still be seen standing today.